Honey…I’ll be home late, today..OVERTIME. -working time before or after one’s regularly scheduled working hours; extra working time. Today, the understanding of ‘Overtime’ is different. 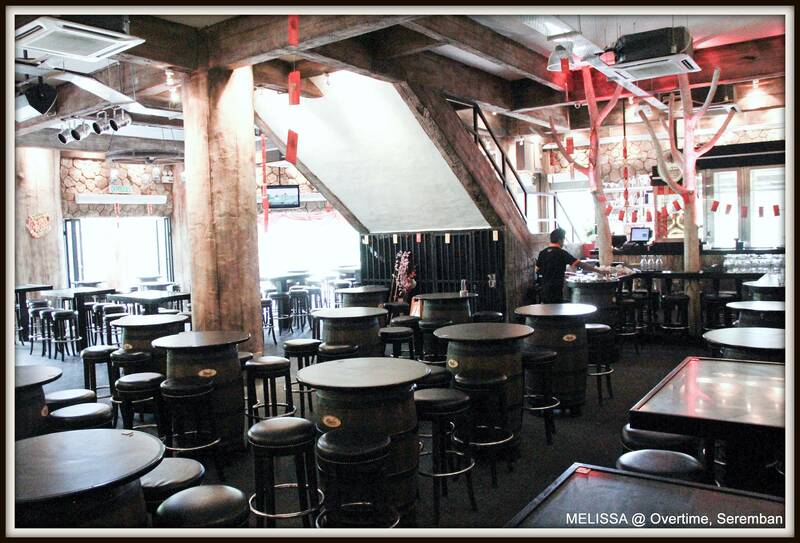 Here, I’m referring to Overtime Bar & Restaurant. Its nothing related to work. Hence Overtime has became a popular hangout place. There are so many outlets in Klang Valley. Overtime is known for their very own STARKER fresh beer. 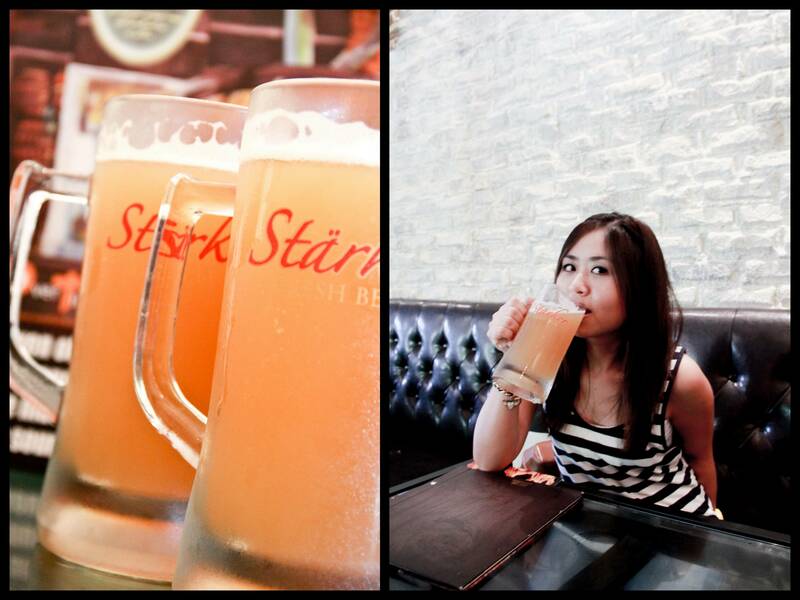 Starker fresh beer is made especially for Malaysian to have a taste of fresh beer that is rare especially in the Malaysian market. The taste palate of starker fresh beer is formulated to suit the lifestyle and eating habits of Malaysian to go well with most of Malaysia’s local cuisine. Well…good news to Seremban folks. Overtime is now in Seremban. Open its door for business since end of year 2011. Well..if you are here at night, you’ll be entertain with live band too. 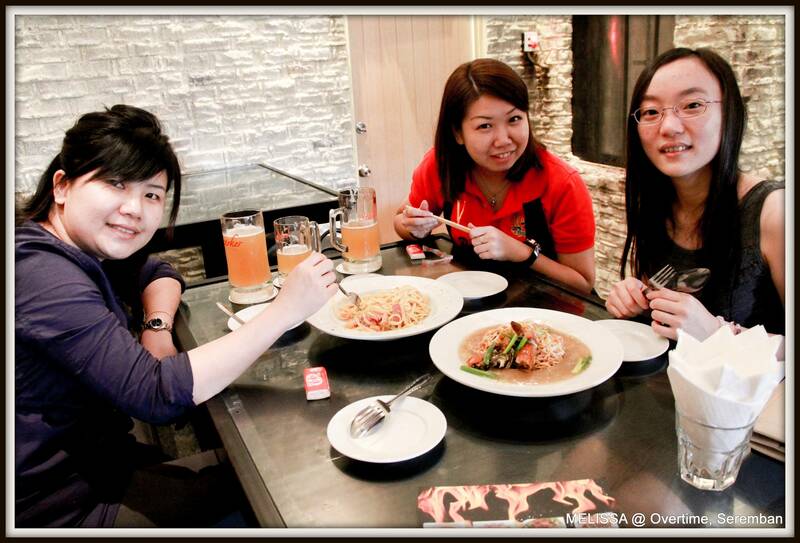 During Chinese New Year break, me and my high school friends decided to meet at Overtime…(a new place for us here). Though everyone is busy all the time…we hardly meet. But we will usually try our best to at least meet during CNY. We were there at 12pm(opening time). And they were having the promo of (buy 1 free 1 pint) from 12-7pm daily. Here I chose ‘Aromatic’. Golden yellow in appearance, a medium bodied beer with fresh fruity hints and herbal aroma. Malty-sweet in taste with apparent citrus notes, leading to a refreshingly clean and crisp after-taste. Not bad…the taste wasn’t too strong and its smooth. For 1st timer…you may choose this. Let’s see what we’ve ordered. 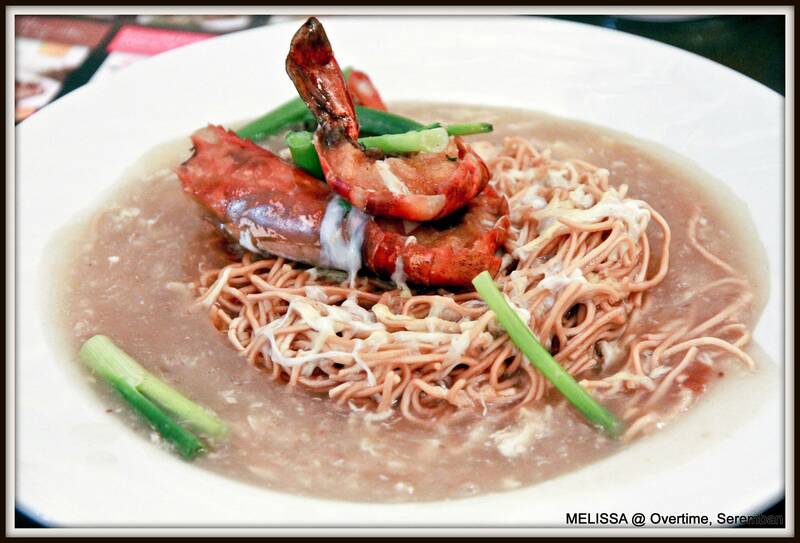 Crispy noodles soaked in flavorful sauce. 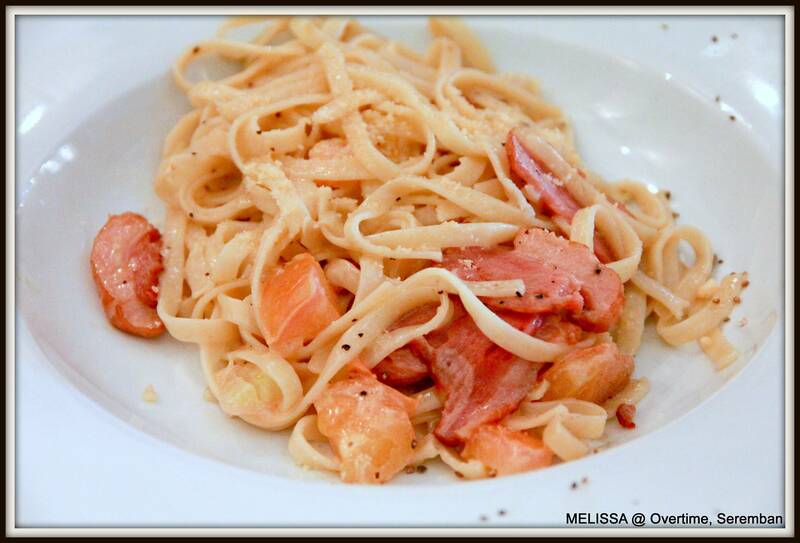 Fettuccine Pasta tossed in traditional Alfredo sauce with Parmesan cheese and topped with sliced smoked duck. The smoked duck itself tasted quite well. While for pasta…*sigh* so bland!! 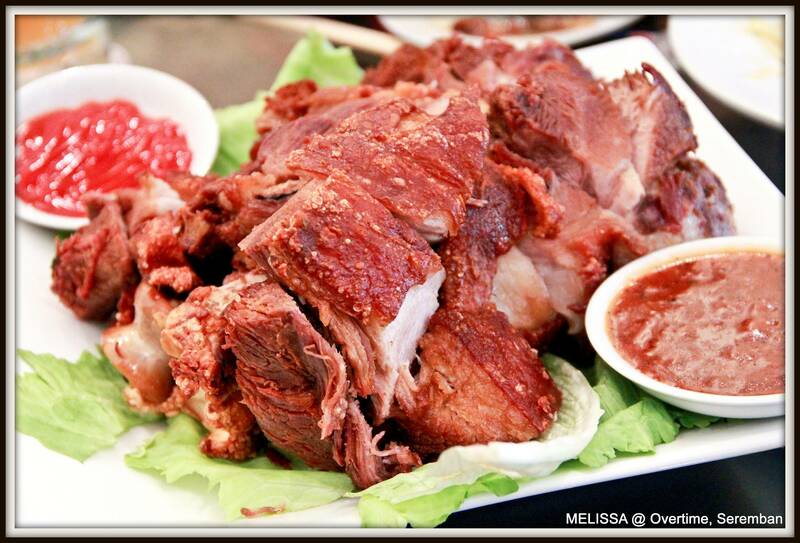 Pork knuckle marinated in chef’s secret and deep fried until the skin is crisp. (RECOMMENDED!) This is the best among the other 2 above. The skin is indeed crispy. While the meat is tender and not overcooked. Moreover the portion was BIG! ~~~~~~till me we meet again…. Now I don’t really do OT.. LOL..
kinda McD for the aldult… everywhere u can find OT.. The ‘Siu Yuk’ is nice ar?? Mayb I should try it someday…. 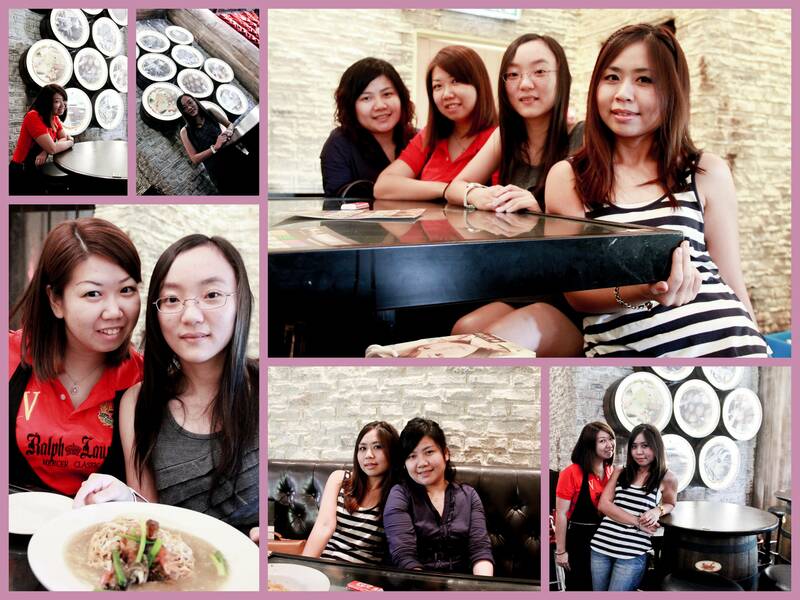 Lovely food and all your girls look soooo cute and stylish. I love it! I mean all YOU girls. Including YOU. But I’m sure you know that. You always look adorable Melissa! 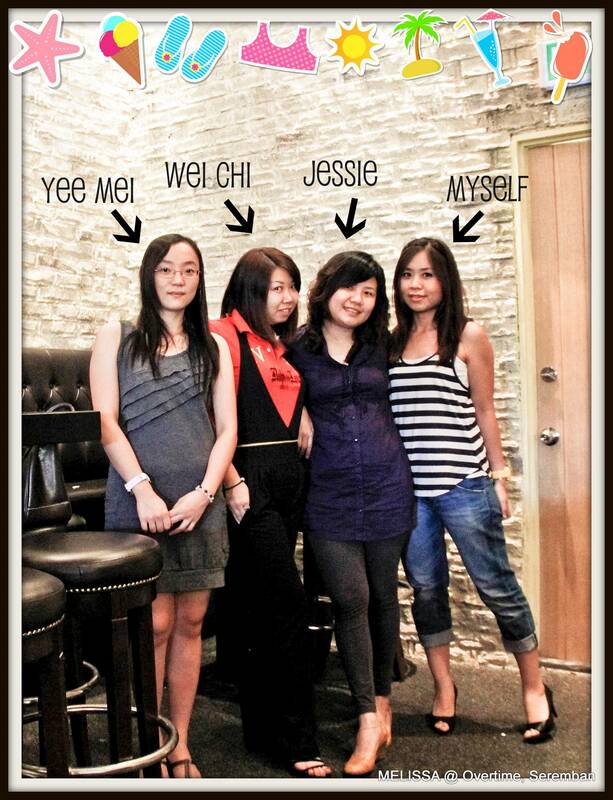 Jing Yi – HHmm..ok..I think I got the meaning… To them, they feel weird if ppl go there without ordering beer?? btw..I think their staff is quite poor in handling customers.